Mohan Gandhi who directed films like Kartavyam, Aasayam, Peoples Encounter and Police Brothers in the past has directed a political film titled Sankharavam (Voterlara Ekam Kandi) with Anant Nag and Sarath Babu playing main leads. Bhuvaneswara Reddy - a US based NRI - is producing this film. Vandemataram scored the music. Anant Nag and Sarath Babu are said to have played the roles of Chandra Babu Naidu and YS Raja Sekhara Reddy respectively. Anant Nag is acting in a Telugu after a gap of 20 years. 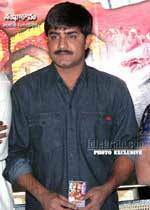 He made his last appearance on Telugu screen in 'Prema Lekhalu'. 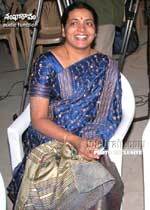 Audio of this film was released in a function arranged at Film Nagar Cultural Club (FNCC) on 7th March 2004. Jeevita, Srikanth, Atluri Rama Rao, Tammareddy Bharadwaja, Gangaraju Gunnam, Sravanthi Ravi Kishore, Relangi Narasimha Rao were invited as the guests. Supreme Music produced the audio. 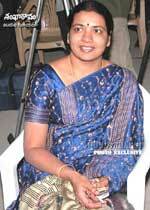 Jeevita released the audio and gave the first copy to hero Srikanth. Tammareddy Bharadwaja, Vandemataram Srinivas, Uma Maheswara Rao, Nissar and Viswa released a song each. Speaking on the occasion, Tammareddy Bharadwaja said that Mohan Gandhi is an expert in directing films that spread political awareness. He said that there are certain people who make films during election times to malign the public images of certain political parties and politicians. But 'Sankharavam' is one film that shown the existing political situation without projecting any bias. He said that he watched this film and found it to be extremely good. And he recommended that every voter should watch this film before exercising his/her vote. He appreciated the 'edu kondalu' song in this film. He wished that 'Shankharavam' would become a better hit than 'Karthavyam'. Hero Srikanth said that it was Mohan Gandhi who spotted him gave him a chance in 'Peoples Encounter'. He thanked Mohan Gandhi for encouraging him and wished that this film would become a big hit. Atluri Rama Rao said that cinema is a powerful media of communication and it plays vital role in influencing the thinking behavior of masses. Political films like Sankharavam should do well in spreading awareness. He opined that Shankaravam should get a good name for the director Mohan Gandhi. Producer B Bhuvaneswara Reddy said that Sankharavam is an out and out commercial film with a political flavor. He also said that it's a daring proposition to produce such a film. He said that all the songs in this film are situation based. Producer said that Anant Nag has acted in around 175 films and he seems to have said that the character he playing in this film is best among all his films. Director Mohan Gandhi thanked the producer Bhuvaneswara Reddy for coming forward to produce a message oriented film. He said that he took 45 days to make this film and thanked the production controller Devineni Hanumantha Rao for extending his co-operation. He described the film 'Sankharavam' as a result of teamwork.